Fuel Maverick D538 22×10 black milled wheels, 305/45-22 Nitto Terra Grappler G2. 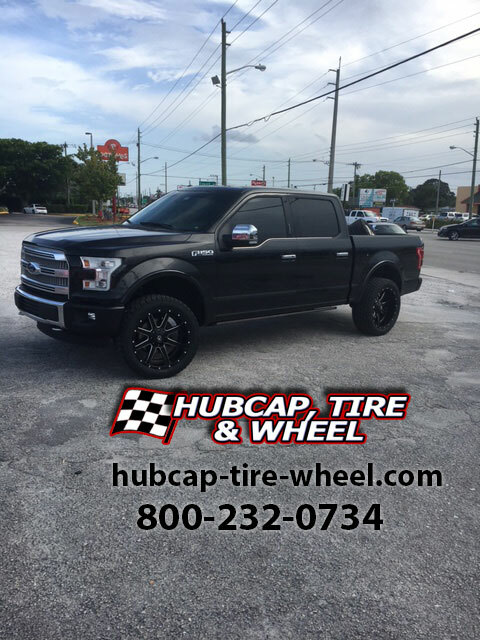 They look outstanding on our customer’s leveled 2016 Ford F-150 Platinum! After a visit to our shop, this customer’s Ford F150 is better and badder than ever before! Take a look at these Fuel Mavericks in a bold black and milled finish. 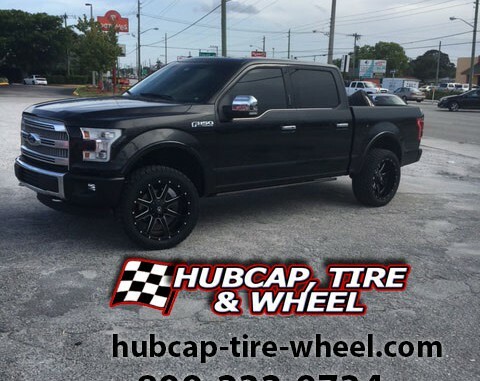 With rims like these, this F150 Platinum is definitely going to turn heads on the street. Fuel’s custom wheels are iconic for being just as nice to look at as they are to drive on. These Fuel rims bring a tough and brash style to the off-road trail. But, of course, what’s an off-road wheel without an off-road tire? Our customer went for some hefty Nitto Terra Grappler G2’s, and quite frankly it was an excellent choice. Nitto’s as big of a name in the off-road world as Fuel is, and for all the best reasons. With tires like these, our customer’s sure to get every last ounce of performance and comfort out of his F150. Feel like adding some custom wheels to your truck? Naturally, so call us at 800-232-0734! Our wheel and tire team has decades of expertise. With their help, you’ll get the perfect wheels for your car, truck, or SUV, and the right tires to match. We’ll find you the style that you’re after, and the fitment that’s ideal for your vehicle.